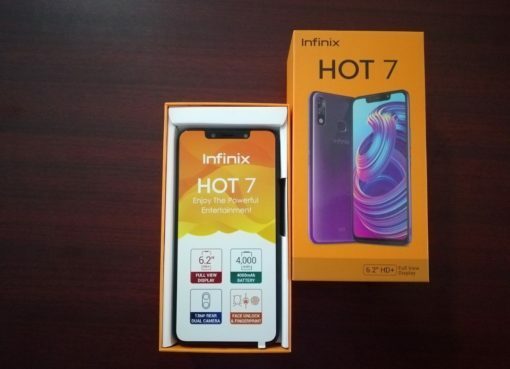 Infinix Mobility’s latest device in the Hot series, the Infinix Hot 7 has been a talk around town due to its improved features, looks and its affordable price. 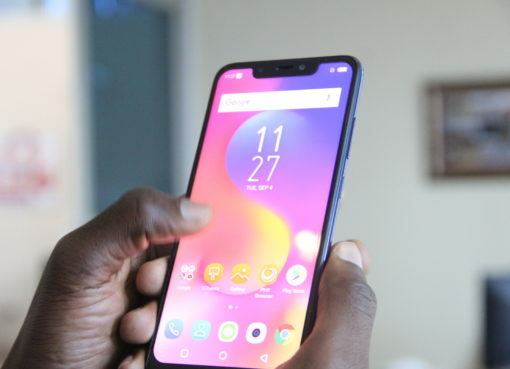 The device which came after the Hot 6 presents a number of sleek features with the most prominent being the notch screen which has been and still is a trend in smartphones lately. For the previous two weeks, I have been using the device which I received from Carlcare and although it has some notable flaws, I can boldly reveal that no device in its price range can even try to match it. For starters, the device costs UGX439,000 (approx. 118 USD) and is readily available in major retail outlets countrywide. At that price, the device comes with a full HD display on a 6.2” screen and a resolution of 720 X 1500 pixels. The IPS Notch display allows the user sufficient space to let them to maneuver or rotate the device to view more. 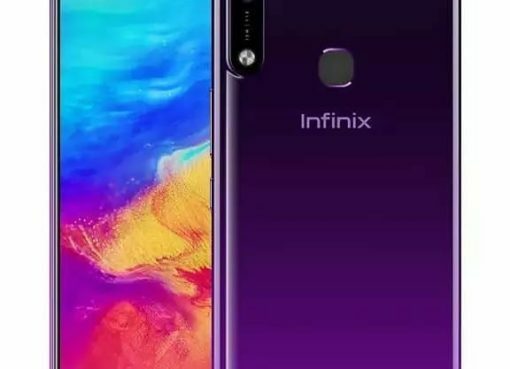 This is the second Infinix with a notch screen, following the Infinix HotS3X which was launched last year. Due to a reduced lower bezel, navigation keys are only visible when the device lights. It has no app drawer and hence to display apps, you need to swipe up on the home screen. The Infinix Hot 7 is a dual sim phone which uses only nano cards. To insert the cards, one needs to remove the back cover to expose the slots. Its plastic body allows a firm grip for the user while holding it and the positioning of its finger print sensor is ideal. I was using the device with its plastic cover on for all the weeks. Memory: 2GB RAM with 16GB storage space, expandable to 128GB. The camera comes with pre-set shooting modes including Beauty, AI CAM, Portrait, Panorama and video. Manually, you can make adjustments to ISO and white balance giving you full control of the image you produce. Despite the fact there are two lenses at the back. I failed to get the reason why the second lens is required. I covered the 2MP lens (lower lens) and still managed to get out a sharp image. The camera however doesn’t shoot when you cover the 13MP lens (upper lens). The 8MP front camera will get a clear selfie of the user and with the beauty feature, Infinix gives the user a chance to add some more touch to the image before its produced. Despite the time of the day, the Infinix Hot 7 camera will get out a sharp image. I subjected the device to continuous usage under full display brightness and the 4000mAh battery lasted an average of 13-15 hours. Under normal use with brightness being adjust as according to the times of the day, the device battery could last more than 24 hours. I was disappointed with the charging rate of the device as it can take more than two hours to get to full charge if the battery is fully drained. Despite the outstanding features that the device possesses, the absence of 4G LTE support makes it a hard sell. But rumour has it that the Infinix Hot 7 Pro which will be launched in April will have 4G support. Pros: Good battery life, dazzling finger print scanner, good (wide) screen, great feel, MicroSD support, decent camera and camera features. Cons: No 4G support, No removable battery, fixed focus front camera. 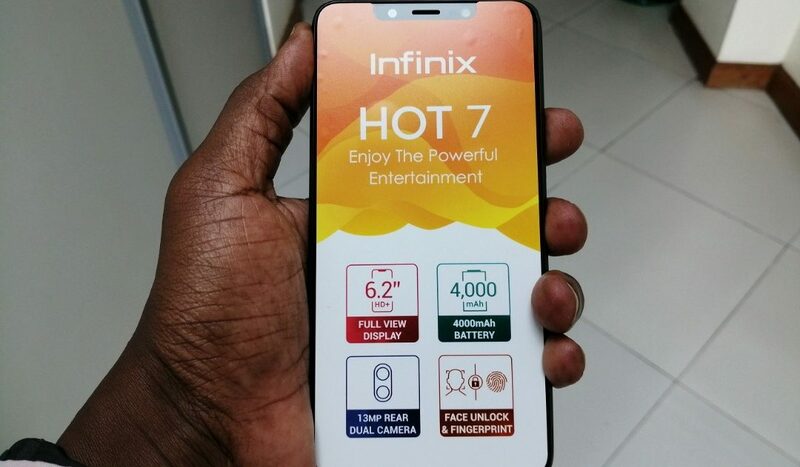 If you are the kind of person that prefers wide screens with better display, enough storage space and good performance of the processor, the Infinix Hot 7 is the ultimate the device you need. On the contrary though, if you prefer 4G LTE enabled devices, wait for the Hot 7 Pro.